I would replace all of your keyrunes for signets. 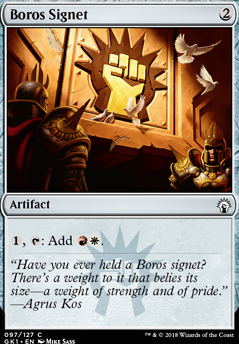 You know, Orzhov Signet , Boros Signet , and Rakdos Signet instead of Orzhov Keyrune and the others. The reason being is because 0, 1, and 2 mana rocks are the only cards that let you play your commander a turn early. You want to put the pressure on fast. Helm of Obedience + Rest in Peace is definitely a viable combo. I'm running graveyard recursion as my primary win-con, so doesn't work in my build, they would just either contradict what I was doing, or be dead draws. Also, no point in having 2 (you definitely want an alt. 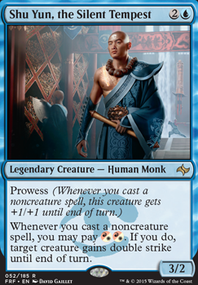 win-con, but not one that draws dead. If you take out the graveyard recursion, I'm not sure what type of build would be best, but something that benefits/synergy with the other pieces for that win-con. Hi weezel, I might just not play him. 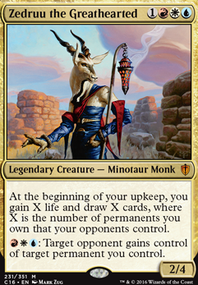 I don't have a Mox Diamond so haven't been able to test it, and a little pricey to just buy if I'm not sure it will make the deck. I've tried proxy testing it a bit when I can, I still can't decide if the faster mana (it removes a mana too, if it was any card would be an include, because it's a land, its tougher) is worth it. It nets more mana if played Turn1 then let's say causing you to miss the Turn3 land drop. However, on turn 5 when you draw it, it's probably a dread draw. Gamble is good, any 1 mana tutor is great. Better than Diabolic Tutor . 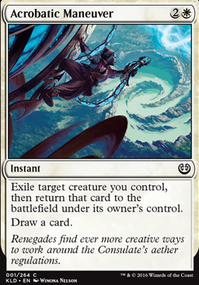 It would be better in a more graveyard recursion, or a way to pull cards from graveyard, but it's still a CMC1 tutor that has a high probability of pulling the card you need, think if you tutor Reanimate and it happens to discard Iona, Shield of Emeria that's still ok! Just don't want to lose the reanimate, because then your tutoring a Yawgmoth's Will or Animate Dead . 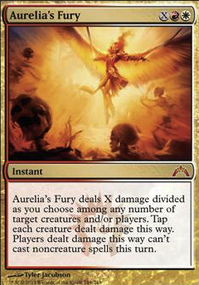 I like Fellwar Stone better than the Boros Signet because it's CMC1, but its a little random too. Probably if I had a Mox Diamond i would play that over the Fellwar Stone . 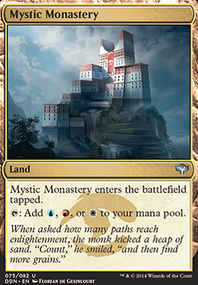 Hoping they print the supporting color Talisman of Indulgence . 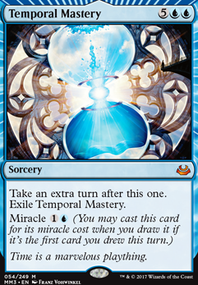 I'll give Mishra's Bauble a try, I really dislike the delay on the draw, and not sure how useful looking at my? library will be, don't have much to scry it away, but could be a look before a fetch land. It's not bad though, if it draws into an instant tutor like Vampiric Tutor thats nice because then can use it on opponents turn. Excellent Suggestion.